After a thriller in Cape Town, a revamped South African side led by JP Duminy look to wrap the series as they face the Sri Lankans in the second T20, set to be held at the Centurion. Despite a heartbreaking loss, the Lankans should find solace in the manner in which they staged an improbable comeback and will be banking on the momentum as they seek to win their first white-ball match in what has been a mixed tour for them. 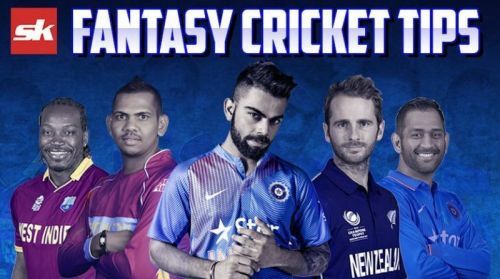 With another potential thriller on our hands, here are a few tips to help you pick your Dream11 team. Anrich Nortje is out due to injury, leaving South Africa light on bowling options. Reeza Hendricks should feature alongside Aiden Markram at the top of the order with the youngster, Sinethemba Qeshile and Dwaine Pretorius fighting for the vacancy in the middle order. Chris Morris is back in the squad and should feature instead of Kagiso Rabada while Tabraiz Shamsi is also set to make a comeback to the T20 side. Possible XI: Reeza, Markram, Dussen, Duminy(C), Miller(WK), Pretorius/Qeshile, Phehlukwayo, Morris, Steyn, Sipalma and Shamsi. After a decent performance in the first T20, Sri Lanka could be tempted to resist making any changes with Kamindu Mendis proving his worth with the bat. Dickwella's horror run at the top of the order could force Samarawickrama's inclusion while the rest of the side should remain the same with the likes of Isuru Udana and Thisara Perera able to provide the fireworks in the death overs. A competitive wicket is on offer with the previous ODI held here seeing both set of players being bowled out within their quota of overs. Pacers should find some help up front with the powerplay overs being crucial with the ball being hard and easy to manoeuvre. Wicket-keeper: David Miller is the preferred choice as wicket-keeper with the South African starring in the previous match in the Super Over. With Faf du Plessis rested, he could bat higher up the order, leading to another good show from 'Killer' Miller. Batsmen: Aiden Markram and Rassie van der Dussen are decent options to have in the side while Reeza Hendricks' form in the shortest format could also favour him. One of Kusal Mendis or Avishka Fernando should be sufficient to complete the batting department. All-rounders: Chris Morris and Andile Phehlukwayo are in very good form with both bat and ball, making their selections quite obvious while Thisara Perera and Dhananjaya de Silva are also viable options with their all-round abilities. Bowlers: Isuru Udana and Lasith Malinga are must have players from the Sri Lankan set of players. Udana has been the major getaway from what has been a disappointing tour for Sri Lanka. He has contributed both with the bat and ball. Dale Steyn is also a viable option while Tabraiz or Lutho Sipalma should suffice as the third and final bowling option. Captain: Aiden Markram is in good form and is due for a big one on Friday. Along with the SA opener, Rassie van der Dussen and Thisara Perera are also viable options for captaincy.